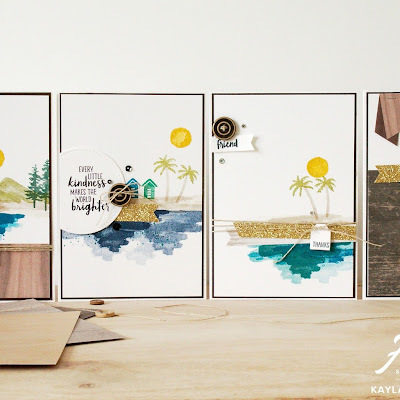 I am back again with another blog post with a fabulous blog hop with the Crazy Crafters featuring LISA CURCIO. If you haven't checked out her blog you will want to, her work is amazing. 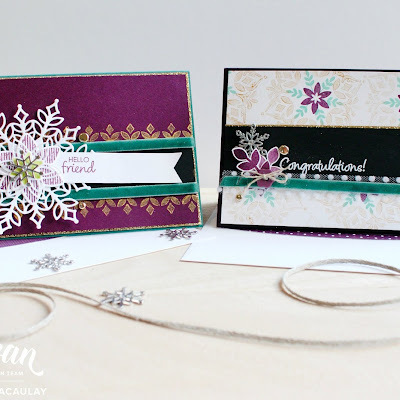 I am particularly in awe of her fancy fold and fancy cut cards. She is a very talented lady. The theme of our blog hops are to case the person we feature. In this case it will be one of Lisa's gorgeous projects. 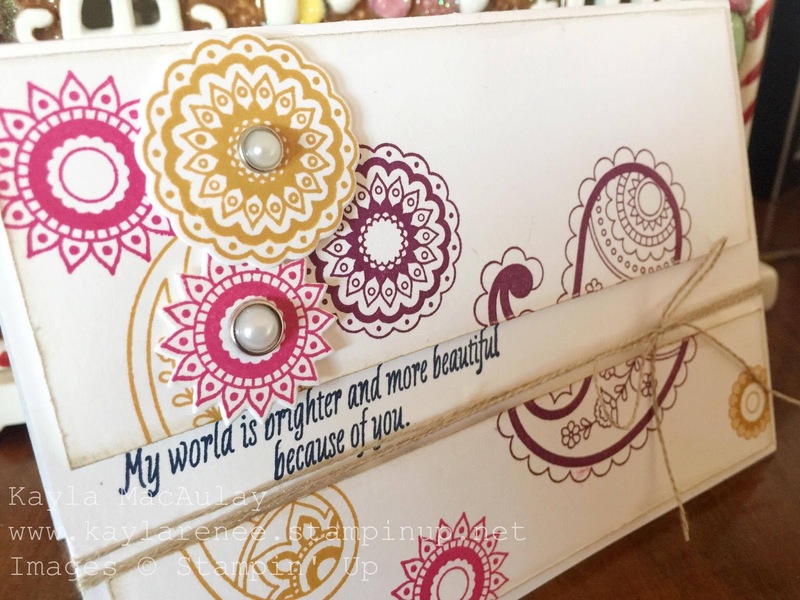 When I saw this gorgeous card I fell in love with the design and the fact that it was split with enough room for the sentiment in the gap. I also just acquired this stamp set (Paisleys & Posies) in my stash so thought there was no time like the present to get it out and have a play. I am becoming a firm believer in not letting things 'sit' in my stash. I just want to use them right away! It means that by the time things retire they will have been well loved and that is the way stamps should be. We don't want them to be unseen! So here is my card. 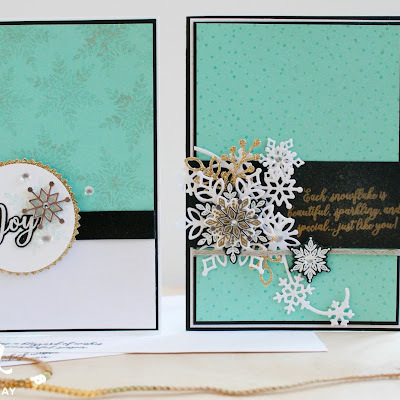 I kept the basic card the same and just added a few of my signature touches. These days my cards wouldn't be complete without a bit of linen thread of twine and I added my new love...metal rimmed pearls. I also sponged the edges with Sahara Sand to give it a bit more definition. 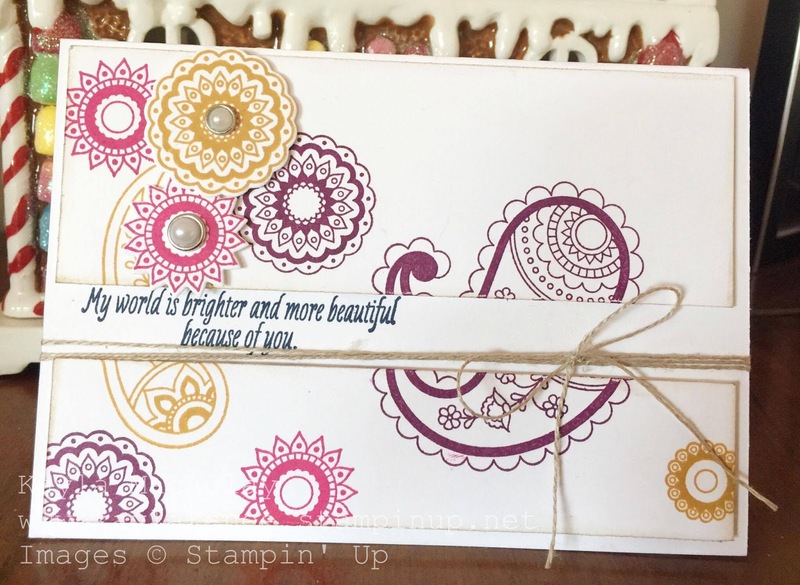 I love the dimension that stamping flat as well as cutting some of the posies out on the Big Shot and raising them up on dimensionals gives. I think I will be repeating this on another card soon. I just had to add some linen thread. I think it gives it a nice homemade touch. I stuck to a four colour scheme with Rich Razzleberry, Melon Mambo, Delightful Dijon and Night of Navy. I tried not to overwhelm myself with colours but also wanted to try something a little different. Finally I had to decorate the inside of the card as usual. It doesn't take much time but gives that extra bit of pizzazz! 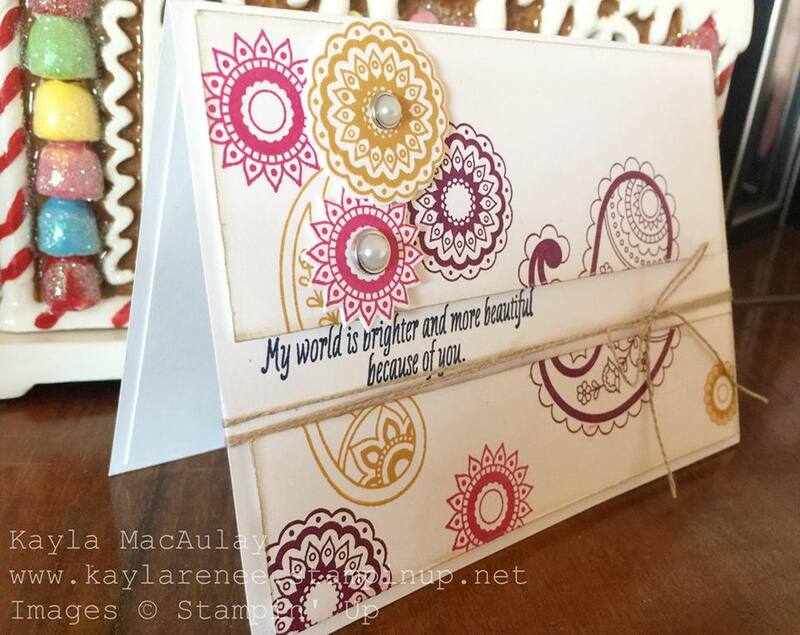 This card has already been written in and passed on to a lovely friend and customer! It's just as important to give cards as it is to make them. Thank you so much Lisa for the inspiration!